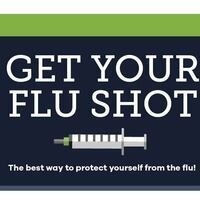 Influenza vaccination clinics on the Stockton and Sacramento campuses are coordinated efforts by the Thomas J. Long School of Pharmacy Operation Immunization and Student Health Services to keep our campus healthy. For questions regarding the influenza vaccination, please call 209.946.2315, option 1. If you are unable to attend this clinic date, you may obtain your vaccine by appointment at the student health center. Call 209.946.2315, option 1, for available appointment times.